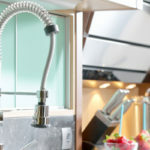 These 9 popular kitchen cabinet design ideas for 2016 are not only on-trend; they make your kitchen remodel more valuable in a variety of ways. What style cabinet doors do you like best? There are a variety of options to choose from. One of the most popular is the shaker style cabinet. This style of cabinetry gets its name from old shaker furniture famous for its long-lasting durability and clean, simple lines. This style of cabinet is comprised of a five piece flat-panel frame made from four pieces and a single flat center panel. 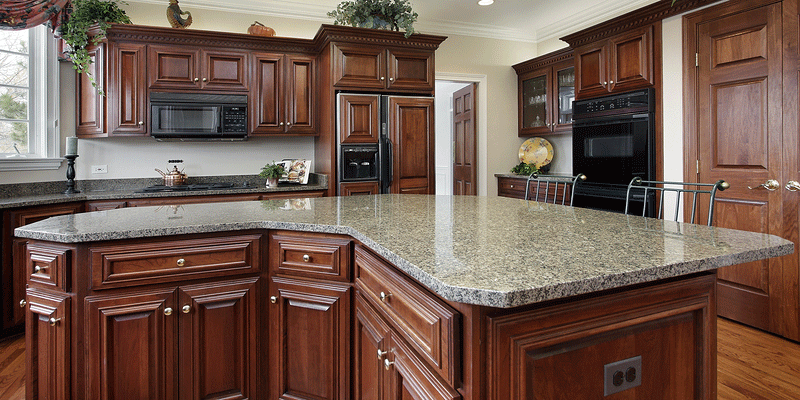 Shaker cabinetry comes in a number of price points for nearly every budget. They may also be painted in unique or staple colors and made from a variety of wood types. Helpful money-saving tip: You could save up to 20% on kitchen cabinets if you go with a natural finish instead of a painted one. Flat cabinets have flat-panel doors that provide a very modern look to your kitchen. They create harsh lines with a minimalist feel. Inset cabinets tend to run on the higher end in regards to costs but remain rather popular. They provide a classic appearance proven to stand the test of time even as design trends come and go. While classic cabinets sit outside of the cabinet frame, inset cabinets sit flush with the frame. This creates a seamless finish but requires extra attention to detail and precise measurements to accomplish—hence the extra associated costs. Efficient cabinets never go out of style. It’s virtually impossible for them to do so. The last thing you want are a bunch of big wide-open spaces, this is how cabinets end up a cluttered mess. Do whatever you can to make cabinets more efficient, such as adding roll out drawers, a lazy Susan, or interchangeable shelving. Think a silverware and utensils drawer with cubbies, or a specially built shelf on the inside doorframe that holds canned foods for easy browsing. Check sites like Pinterest for inspiration. 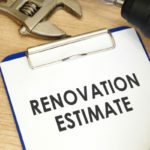 Many ideas are DIY-friendly and very affordable. Adding glass to a couple of your cabinet faces will open up your kitchen and add a unique touch of style. Just make sure to add glass over cabinets that’ll store fancier china or minimal items. Otherwise you could end up creating a cluttered look that actually makes the space feel smaller. Install them… we dare you! 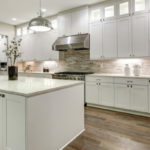 Since you can never get enough kitchen cabinet space you might as well install cabinets from the ceiling to the floor, at least on one or two walls. This look is on-trend right now, plus it makes the most use out of the space you have. Add drawers and cabinets of different dimensions, sizes, functions and shapes in order to break up the wall and give it plenty of style. Try adding glass-faced cabinets to some, or even mixing and matching a couple different door handles. Kitchen designers are getting more experimental, adding more than one color to cabinets in the same kitchen. Having 2 different colors properly placed throughout kitchen cabinets provides a stylish look that makes your kitchen stand out from the rest. 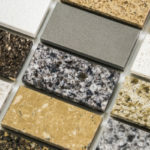 You can mix and match cabinet materials just like you can mix and match colors. For instance, use wood on the vast majority, with stainless steel cabinets on all or a couple lower cabinets. By pairing the right materials and colors you create quite a show-stopping kitchen. If you don’t have the budget for those 2 extra cabinets you’d like to install along a wall, you can always improvise with something more affordable. Adding your own open shelves is a great way to infuse style into the space while also gaining additional room for storage. Wood, glass, granite and virtually any other material can be transformed into a functional kitchen shelf that it’s easy to hang on a wall. One of the latest kitchen cabinets taking the industry by storm is the period style cabinet. These beautiful cabinets are often painted with fun pops of color—like teal or sea green, although white is another great color to pair with this style. Glass shelves, beaded-board accents, spotted paint finishes and white porcelain knobs are just a few ways to add the vintage feel associated with period cabinets to your kitchen décor. You could keep cabinet hinges discreet or make them the style statement of the cabinet face. Exposed strap hinges in stainless steel, or another material of your choice, provides a uniquely charming look that’s reminiscent of an old vintage trunk. This look is especially nice in a cottage or rustic style kitchen.